We are an independent timber based sheet material company based in Darwen, Lancashire. Starting life in 1983 and have successfully provided a comprehensive service covering all aspects of wood based panel products. As you can see when navigating our website, not only can we supply all wood based sheet material products (Plywood, Chipboard, MDF, Veneered Boards and Laminates etc.) We can also offer a full fabrication service. This includes straight cuts using our state of the art Beamsaw. A specially commissioned CNC machine with a 10 foot (3000mm) x 7 foot (2100mm) matrix bed. 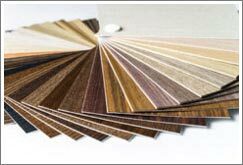 A laminate bonding service, which includes bonding any laminate of your choice to any substrate and we can even cut to size and edge if required. Our normal delivery service covers all of the mainland UK. But we have been known to supply customers as far as France, Italy and the USA to name a few.